There’s a word I’ve removed from that statement above. Without it, many readers could assume the author was talking about graduates of a prestigious University, an Oxbridge one perhaps, or maybe an elite private school that churns out leaders of the future. The quote is taken from a notebook that belonged to Miss Margaret Hodge, an art tutor at the educational institution in question during the 1950s. The students she was preparing this address for had travelled to study in England from Malaya (which would later, in 1963, become Malaysia). During a ten year period, from 1952 to 1962, something like 1900 Malayans arrived to study a broad range of subjects. The students represented the multi-ethnic diversity of their country and many, like the products of England’s famous private schools, would indeed go on to be leaders of the future; as politicians, royalty, lawyers, and numerous esteemed professions that would mark them as pillars of their communities. It’s the location of this remarkable, ground-breaking establishment that is missing from the extract above. 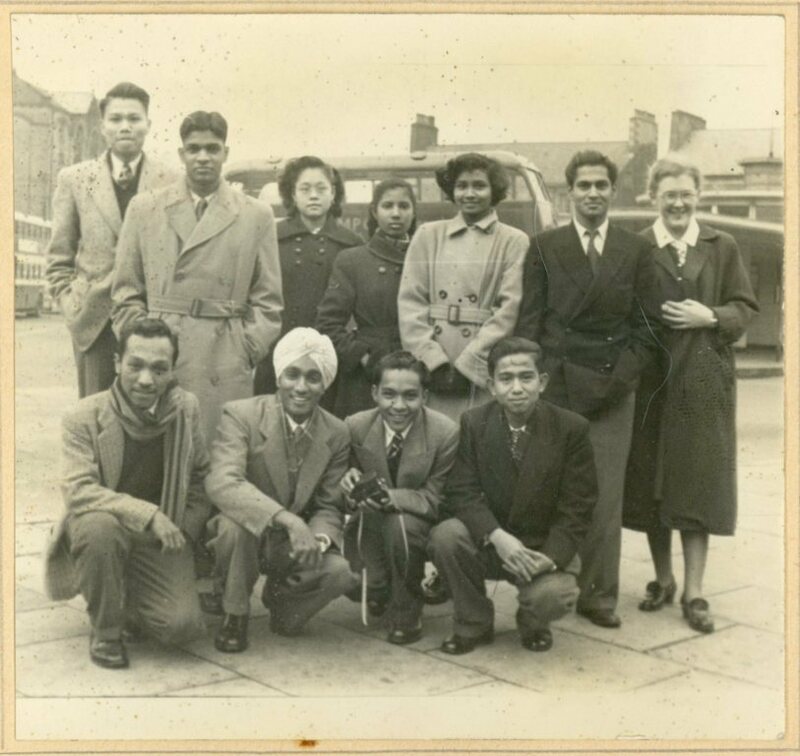 The place that became a temporary home to some of Malaya’s brightest and best was the Malayan Teacher Training College in Kirkby, near Liverpool. It may still not be an internationally famous town, but to alumni of the college, Kirkby was the centre of a life-changing experience that would resonate across the world and ensure that the town would remain a symbol of innovation, transformation and hope. At the time the Malayan College was first opened, Kirkby was a small town, much of it still rural; a relatively small Lancashire community that few outside of the region would have been aware of. After the Blitz of the Second World War devastated so much of Liverpool, Kirkby would become one of the ‘overspill’ areas for the city as it embarked on a programme of slum housing clearance and establishing new out-of-city housing estates. The lifetime of the Malayan College coincides with the beginning of Kirkby’s rapid expansion into an urban town when the Lancashire accent would be edged out to be replaced by the very different scouse twang. You can hear some of the memories we hold in the ARK about this period on our Soundcloud page, including memories of rural Kirkby and interviews conducted as part of our Heritage Lottery funded work with Kirkby residents about the 1940s-60s in the town. Prior to the college taking over the site, the buildings which would accommodate the college had been used as the location for an Emergency Teacher Training College (a location which included the repurposing of a former hostel for the Royal Ordnance Factory during the Second World War). 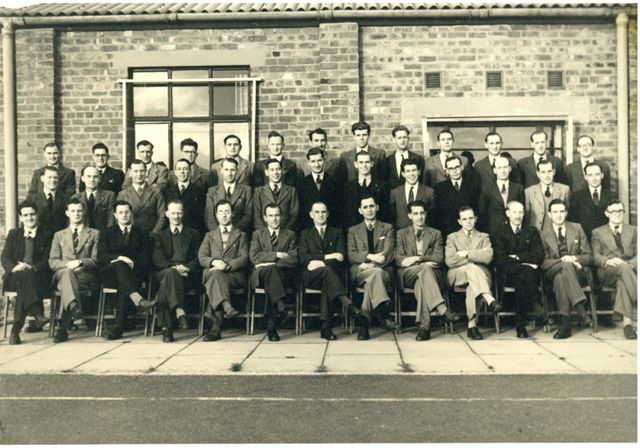 Like others set up around the country after the close of the War, Kirkby’s Emergency College, which opened in 1948, was a response to a national shortage of teachers and a much-needed way of providing men returning from the War with a qualification and career. By 1951, the college was closing down and the Malayan Government were invited to take over the site for their own Teacher Training College. The impact of Kirkby’s Malayan College is truly remarkable. For students, it offered a high quality education, an international perspective and a sense of cultural awareness, with the reality of studying, living and socialising with Malayans of many different backgrounds seen as an ”opportunity to view and study the Malayan political and social scene with at least some degree of detachment.” (Panduan, the college magazine, July 1953). For the Kirkby residents and the schoolchildren and teachers who came into contact with the students, the college provided a rare chance to meet people from abroad and share in their culture; an experience that the students recognised as mutually beneficial. Perhaps the most significant thing about the college is its importance in international history. Regarded as a flagship example of Malaya’s ambitions for a harmonious society, it was fitting that, on 7th February 1956, Malaya’s Chief Minister, Tunku Abdul Rahman, chose the college, rather than a government building in London or Kuala Lumpur, as the venue to make the momentous announcement that the British colony was being granted independence. Thanks to our Heritage Lottery funding, we have been able to explore the history of this fascinating, and often overlooked, part of Knowsley’s history. Staff and volunteers are busily gathering memories and memorabilia from local people who remember the college; many of whom have wonderful memories of being taught by the students from the college as part of their teaching placements. In addition, we have been extremely fortunate to develop strong links with the alumni association of the college – who refer to themselves as ‘Kirkbyites’ – and they have been very generous with their time and with donations of a wealth of superb documents, photographs, magazines and films relating to the history of the Malayan College. A highpoint of the project was a visit to Kirkby by almost 40 of the Kirkbyites and their families, travelling from all over the world, to help us commemorate the college with the unveiling of a plaque to mark the original location (now an area known as Granbourne Chase). The alumni, who were all septuagenarians and octogenarians, were fantastically energetic and their enthusiasm and affection for the college and Kirkby was infectious for everyone who was lucky enough to meet them. 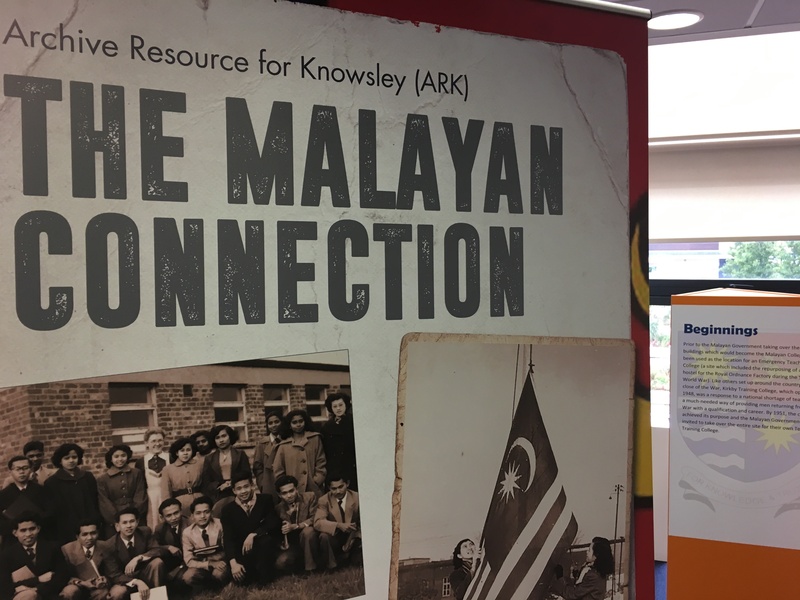 Whilst in Kirkby, they were also able to be the first to see our new exhibition, in Kirkby Library where the ARK is based, about the Malayan College. We were relieved that they gave it their seal of approval! The exhibition was at Kirkby Library until 31st October 2017. In this blog, I’ll give a very brief overview of our collections relating to the Malayan College and an idea of our exhibition for those of you unable to visit. You can also see the exclusive film we made to mark this project and the visit of the Kirkbyites at the bottom of this post. One of the largest collections relating to the Malayan College is the personal archive of Margaret Hodge. This includes lots of photographs and college-related documents, along with her own lovely artwork. Here you can find portraits of college students and her beautiful illustrations for a Malayan government commissioned children’s book, Tijah, Mat Dan Nor. Also amongst her papers are her notebooks that include draft lesson plans and points for discussion with students. Miss Hodge’s archive, alongside the many donations and memories we are gathering from local people and college alumni, help us to gain a much clearer understanding of life at the college and the huge impact that Kirkby and the college had. Some of Margaret Hodge’s photographs can be see in the galleries in this blog and you can see more on our Flickr site. The Malayan students had a busy social life. We know from the memories of former students and articles in Panduan that many of them would regularly visit local towns and cities and very much enjoyed eating fish and chips and to Kirkby’s pubs! Within the college, students were able to become part of a wide variety of clubs and societies, organising a packed calendar of dances, film nights, sporting and charity fund-raising activities. Drama and musical productions were also a fixture of college life, as well as celebrations of religious festivals that brought all of the students together to recognise and enjoy the many different faiths represented within the college. During the two year course, the students were expected to study a broad range of subjects, including English, Education and Mathematics. Alongside their studies, students also had to gain teaching experience and would be placed with schools across the region to develop their classroom skills. We are delighted that we have been contacted by people with childhood memories of meeting the young, Malayan teachers and being introduced to new cultures and even foods (one gentleman remembered seeing a pineapple for the first time!). 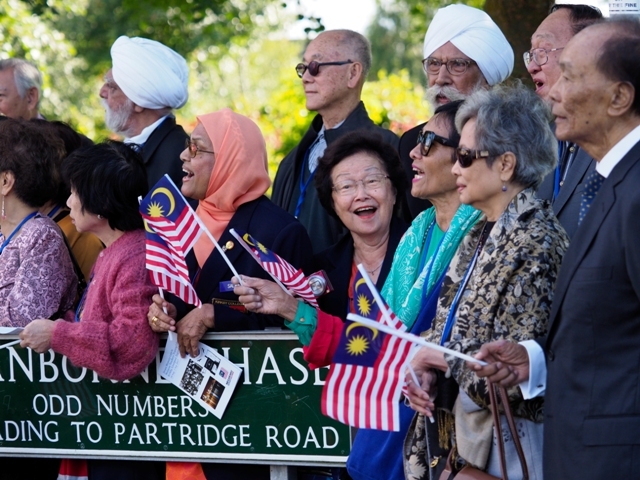 This project has helped us to learn so much more about the history of the college, the lives of the Malaysians who studied there and their impact on local communities. The exhibition is an opportunity for us to share this extraordinary history and remind people of Kirkby’s international significance and why it is held in such high affection by alumni of an exceptional and distinct college.